Yoshinoya + Century Bangus = Winner Dish! There's a new dish at Yoshinoya that you need to try! It's called the Century Bangus Kabayaki, which was launched last March 9, 2011, in time for Ash Wednesday. But let me hold the details on that first as I give you a short background on Yoshinoya and Century. 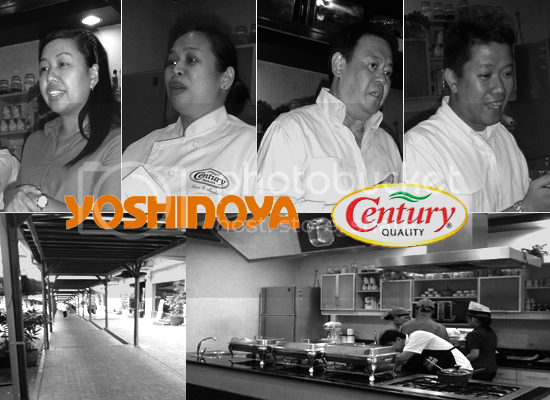 Century Pacific Group, makers of renowned Century Tuna among others, is the franchisee of Yoshinoya in the Philippines since December 2001. With their continuous innovation and passion to give products that are of high quality and superior value to consumers, they're adding a new product in their line called Century Bangus. Century has developed a way to grow and culture the fish properly in order to sustain the source of healthy protein. Fish are harvested from their sea cages and immediately gets processed and packed on the same day, ensuring highest quality and freshness in every pack of Century Bangus. What I love about the frozen Century Bangus is that it's huge, thick (meaning meaty), tasteful and boneless (not 100% though, but it's okay), plus no muddy taste. For the price of about Php140 and up, you get yourself a fresh bangus, which you can try mixing in different dishes like the ones pictured below. Bangus is very Filipino. With Yoshinoya and Century partnering together, we can now say that we have injected the well-loved Filipino fish into a Japanese menu, making the Yoshinoya Century Bangus Kabayaki a winner dish. This dish is priced at only Php140 and uses the Premium Century Quality Bangus belly line. Served with crunchy beansprouts over steaming rice, the fish is deep-fried with a thin layer of breading and covered with the special Kabayaki sauce. Patterned after unagi don, the Century Bangus Kabayaki tastes very delicious and satisfying, which is why it became everyone's instant favorite. Aside from the Century Bangus Kabayaki, another Lenten offer of Yoshinoya is called the Shrimp Katsu (Php140). It's basically a dish having deep-fried breaded shrimp patties with mixed vegetables and rice. Though the veggies were fresh and crispy, this dish was just okay for me. I guess getting the Jumbo Plate with Beef Bowl and shrimp patties (Php185) would be a better choice, so that there will be more variation in taste and texture. Like Piolo Pascual, let's live and eat healthily by patronizing our very own. Try out the Century Bangus Kabayaki at the Yoshinoya store nearest you (SM North Edsa, SM Megamall, Robinsons Galleria, SM Mall of Asia, and Park Square 1) before it runs out! 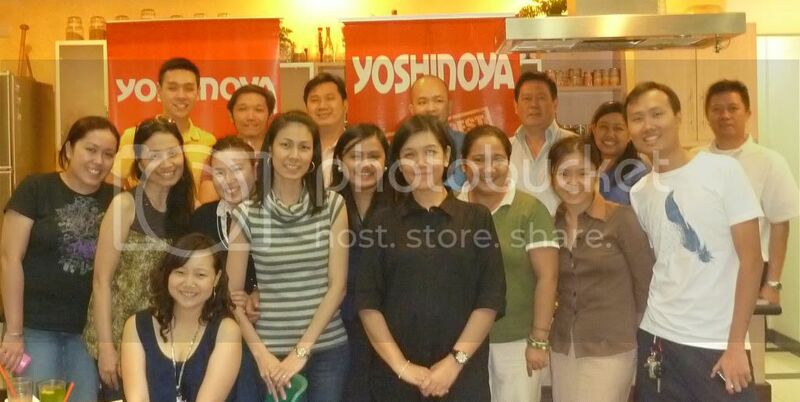 Thanks to Yoshinoya, Century Pacific Group, and my friend Rowena for the invite. The event was held at the Century Culinary Circle in Ortigas Home Depot Food Street.